In Friday night’s game between the Boston Red Sox and Oakland Athletics at Fenway Park, designated hitter David Ortiz collected a single and double, driving in two runs to help the Red Sox come from behind to defeat the A’s, 8-6. 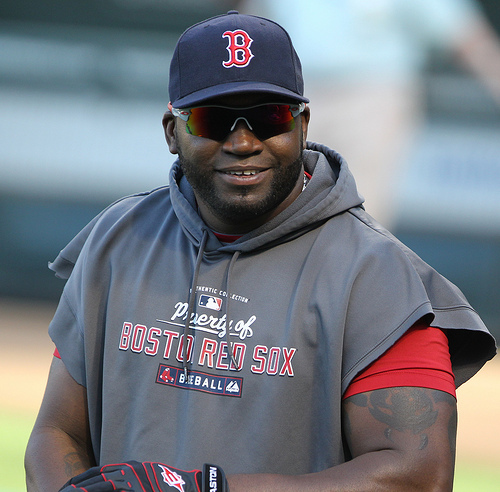 For Ortiz, it’s a complete role reversal of sorts. Last season, Big Papi hit just .143 in the month of April before turning it around in May with a .363 average and ten home runs. In 2009, Ortiz was even more woeful at the beginning of the season, hitting just .185 with one home run through the first two months of the season. This season, Ortiz avoided the traditionally slow start, hitting .267 in April with two home runs. The month of May was sizzling, as Ortiz hit .342 with 10 long balls. June is starting off as a pretty good month as well, with Ortiz already hitting .571 in his first two games of the month with 3 RBI. Now with 13 home runs and 30 RBI, Ortiz is also seventh in the league in batting with a .319 average, and his strikeout rate stands at 10.5 percent, easily the lowest of his career. The Red Sox obviously brought some pieces in during the offseason (Adrian Gonzalez, Carl Crawford) to upgrade an offense that is now considered one of the most potent in all of baseball. What may not have been counted on was the early production of Ortiz, who is on his way to matching and even surpassing his numbers of last season. This is a walk year for Ortiz, in the last year of his multi-year contract, so every at-bat is meaningful in terms of playing for a new contract with the Sox. At 35 years of age it’s unlikely Ortiz will get a long multi-year contract, but with the reversal of his recent trend, there’s no reason to think that GM Theo Epstein wouldn’t entertain the thought of keeping Ortiz in Boston for at least the next two seasons. Adrian Gonzalez Coming To Boston? Is Dice-K experiment over in Boston?